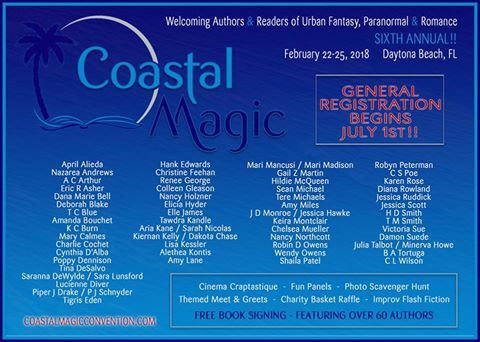 Coastal Magic Convention 2018 (#CMCon18) Featured Author Reveal! Check out the spectacular line up for #CMCon18! Source: Coastal Magic Convention 2018 (#CMCon18) Featured Author Reveal!